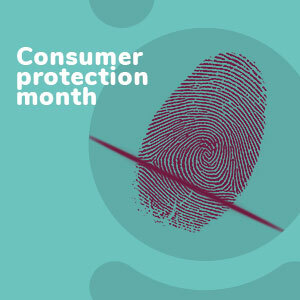 As March is Consumer Awareness Month it’s a great time to turn information into knowledge. Start by checking your bank statement and make sure that you understand all the transactions. Make sure you authorised all the debit transactions that reflect as minus numbers. This is critical as unauthorised debit orders can cost you a lot of money and are usually very hard to reverse. It has now reached board level and is on the agenda at meetings. “What’s really disturbing is the loss of income to banking customers and the emotional turmoil that it causes,” the ombud says. An unauthorised debit order constitutes fraud. “If you suspect any unlawful transactions you should contact your bank immediately. The bank will be able to lodge a query by tracking the reference number recorded next to the transaction. All legal entities must comply with the rules set out by the Payments Association of SA (PASA), the organisation that determines the guidelines for service providers to collect monies via debit order. Now with Debi Check, the new system that will be implemented in all the major banks, all debit orders will be confirmed when you sign a new contract and your consent verified. This will minimise margin for error and we hope will go a long way to minimising unauthorised debit orders. “Collectively banks in SA process millions of disputes per month,” says the Ombud. When a dispute is raised, and it is determined that the debit order was unauthorised, it is reversed. Ideally the dispute must be logged with the bank within 40 days of the transaction. “However, you cannot put a stop to debit orders because your budget is suddenly under pressure,” says the ombud. “You have to give your bank reasonable warning to change the debit order. If your bank objects, you may have recourse with the OBS. “It will conduct a full investigation of both parties and determine an outcome.” The service is free. Consumers can contact the office of the Ombud for Banking Services for free assistance if they experience any banking problems or would like to lodge a complaint against their bank.